Moving into your first apartment is an exciting time, but sometimes there are unexpected adjustments that you will have to make. When transitioning from a dorm or your parents house into your own place, it is important to decide what conveniences you are willing to give up, and those you can’t live without. We kept our future residents, such as you, in mind when designing our modern apartment homes and amenities so that you would have a comfortable and convenient lifestyle. For an easy transition into your first apartment home, take a look at some reasons below as to why Arcadia Run is the perfect place for you! With so many ways to stay in shape here at Arcadia Run, it will be even more convenient to work out than your previous residence! Residents have 24/7 access to the fitness center, summer-long access to our resort-style pool, access to the ball court, and quick access to local parks and trails to explore. However you choose to spend your time maintaining a healthy lifestyle, the resources you need are just steps from your new apartment home. In many apartments, having enough space is an issue and storage is usually lacking. In every apartment home at Arcadia Run, there are multiple closets so that you don’t have to leave any of your belongings behind when you move in. Plenty of storage space also allows for clutter-free living areas where you can live simply and comfortably. You shouldn’t have to rule out a great apartment community because they aren’t pet friendly. And guess what? Arcadia Run loves pets! Many of our current residents have pets, and you will constantly see them walking their dogs on our beautifully landscaped grounds. This is just one of the many things that sets us apart from other apartment communities in the Manassas area! Maybe your parents aren’t doing your laundry anymore, but at least you won’t have to leave your apartment to get it done! Each of our modern apartment homes has a full size washer and dryer included for the convenience to wash your clothes on your own schedule. You also won’t have to pay extra money to use machines at a Laundromat! Even if you already have friends and family in the area, our apartment community is not like a typical one where you never meet your neighbors. Year-round community events, like our upcoming Pool Opening Party, are meant to bring our residents together. It’s easy to hole up in your apartment by yourself and have a movie marathon, but at Arcadia Run, it’s also easy to meet neighbors to invite to your movie night and make it a weekly event. No matter your previous living situation, you won’t have to sacrifice the luxury of a beautiful home when moving to Arcadia Run! Our new apartments feature luxurious finishes and design elements, including granite countertops, and laminate hardwood flooring. No downgrades here! Stop by Arcadia Run today to learn even more about why this is the perfect apartment community for your FIRST apartment home! Moving is the perfect time to purge your home of all the unnecessary items that have been accumulating over the years. However, there are a few things that we think are necessary for you to keep and bring with you during the move, or buy if you don’t already own them. Below, we’ve listed some essentials that every resident should have in their new Arcadia Run apartment! When life gets busy, having a clean home can become an afterthought. 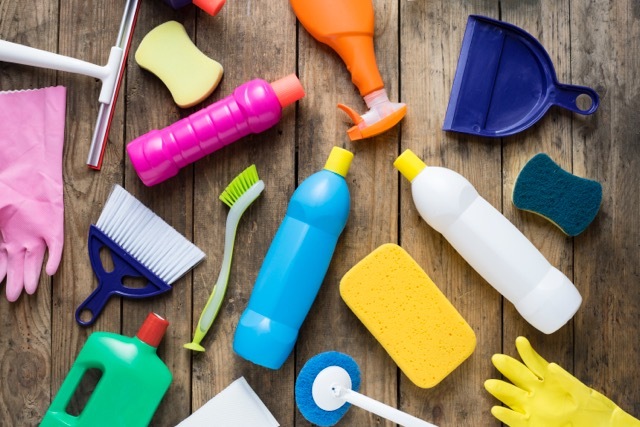 Have cleaning supplies readily available for those busy weeks when the last thing you want to do is go to the store to buy a duster or a mop. Make sure to stock up on supplies that are easy to grab, such as cleaning wipes or paper towels. Putting a statement rug in your home is a way to show your personality while bringing together the atmosphere of a room. Not only will this rug accentuate the ambiance of a room, but it will also create a more comfortable space! Having a good vacuum can save you time and energy when cleaning your apartment. Vacuuming for only a few quick minutes once a week can dramatically decrease the dust and allergen build-up in your home. A toolbox should include all of your essential tools and accessories, such as a hammer, nails, screwdrivers, duct tape, a box cutter, and more. You can easily purchase a toolbox at any local home improvement store! Cuts and scrapes are normal occurrences for any person, so having an emergency medical kit in the home is necessary! Stock up on Band-Aids, pain relievers, and a thermometer, especially if you have kids and live in a busy household, you never know when you might need it. These are just a few of the many important items that you should keep handy in your new apartment home. Whether its making a statement with a new rug, or being able to fix a broken shelf with your tools, you will have everything covered. For more information on our wonderful apartment homes at Arcadia Run, check out our website and schedule a visit today! 12. Discover how “Stonewall Jackson” got his nickname at Manassas Battlefield aka Battles of Bull Run. Two battles were fought here- both Confederate victories. 13. 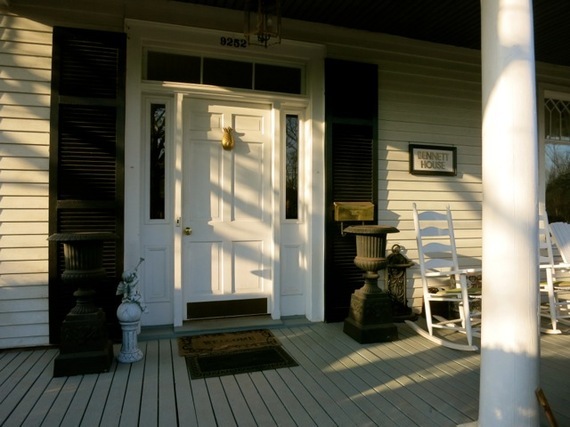 Plan to spend an afternoon and night in Old Town Manassas, nary a Big Box Store or Chain Restaurant in sight. Formerly Manassas Junction, this railroad town, where two lines crossed, was strategically important during the Civil War. 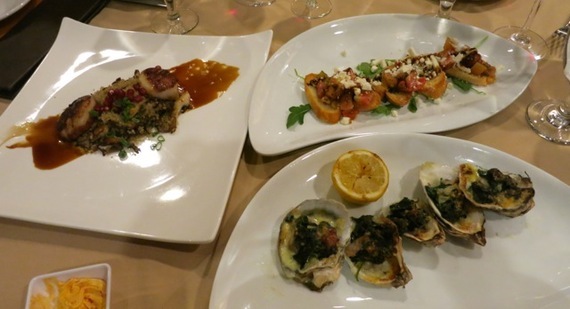 Dine at the fine Portuguese restaurant, Carmello’sor adorable casual-Italian restaurant Monza. Manassas is home to two different brewing companies: BadWolf Brewing Company and Heritage Brewing Co. Both of these top-rated brewing companies are great options if you’re feeling thirsty for an ice-cold brew. Although Jiffy Lube Live is great for a large concert venue, the Hylton Performing Arts Center is a more intimate venue for all types of live performances. For more information on all of the great attractions in Manassas, VA, go to visitmanassas.org. To keep up with everything going on at Arcadia Run, visit our Facebook page. As a new apartment home community, Arcadia Run knows how important it is for our residents to have the best experience possible while living here! This is why we have brand new community amenities and luxury apartment features to fit the growing needs of apartment renters. Take a look below at what we concluded to be the top features that renters adore! The infographic below compares the different types of apartment floorplans by providing pros and cons of each and why Arcadia Run offers great options! Chic Community Clubhouses: First and foremost, today’s renters are looking for chic, all-encompassing community spaces to interact with their fellow residents. Arcadia Run’s new Clubhouse satisfies this need, while delivering so much more! Our Clubhouse offers renters a number of amenities and spaces our residents here at Arcadia Run have already fallen in love with—from the lounge and bar areas to a 24-Hour Business Center, state-of-the-art computers and more! Furthermore, these community amenities are set within a clubhouse with a stunning, modern yet rustic design—which recently won the 2015 Great American Living Award for Best Interior Merchandising in a Freestanding Clubhouse! Just one visit and we think you’ll agree—there are just so many reasons to love the new clubhouse at Arcadia Run. State-of-the-Art Fitness Centers: Fitness facilities have continued to grow more and more popular in recent years, as renters realize the unique appeal of on-site fitness facilities—like fitness centers, basketball courts and more. Many renters continue to rank on-site fitness facilities rather high on their list of priorities while apartment hunting. 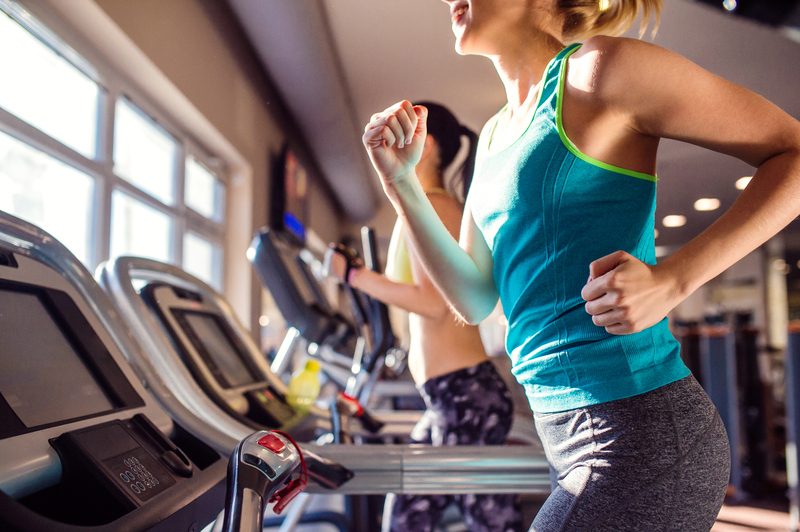 In fact, according to a recent study conducted by the National Multifamily Housing Council, 84% of today’s renters agree that a top-of-the-line fitness center is one of, if not the most important community amenity of all. This should come as no surprise—the ease and convenience of on-site fitness facilities is a no-brainer! The on-site fitness facilities at Arcadia Run offer residents state-of-the-art fitness facilities with our brand new Fitness Center and Basketball Court. Our new Fitness Center is sure to impress—as it comes fully-equipped with top-of-the-line fitness equipment with smartphone plug-in’s and audio jacks, along with a few TV’s to let you catch up on your favorite shows while working out. Why spend $50 a month on a gym membership, when you could workout alongside your neighbors, just outside your door? Cinema-Style Movie Screening Spaces: Looking for yet another way to save a little money? Skip the movie theater and catch a flick in our Community Theater Room! Arcadia Run residents love to take advantage of our community cinema—so just sit back, relax and watch your favorite flick with a few friends! Stunning Swimming Pools: There’s no question that a community swimming pool is always a huge plus! A community swimming offers residents a great place to hang out and relax with friends and neighbors alike. Our resort-style pool here at Arcadia Run is perfect for just that—a picture-perfect pool to swim a few laps or just escape from the heat! Resort-Style Outdoor Amenities: Looking to relax poolside without actually setting foot in the water? Kick back, relax and enjoy the fresh air on our Clubhouse Porch! Nowadays, renters are looking for apartments with luxe, outdoor resort-style amenities to unwind and relax. Our Clubhouse Porch here at Arcadia Run comes complete with comfy couches, a cozy fireplace and countless luxe, resort-style finishings to make this space a beloved community amenity year-round! Fabulous Fire Pits: Today’s renters are always looking to extend their opportunities to take in the fresh air and socialize with the fellow residents—even during the colder months. Unique amenities like the Fire Pit at Arcadia Run is the perfect venue for neighborly bonding and community-wide fun! For more on the amenities at Arcadia Run, check out Arcadia Run on Facebook, and peruse our Amenities Photo Gallery on our website! Moving into a new apartment gives tenants a chance to revamp their green living habits. With growing concerns to preserve the environment and reduce our ecological footprints, more and more people are taking proactive steps to live in a more environmentally responsible way. Here are a few small green ways you can make a big difference when living in your new apartment at Arcadia Run! Buy eco-friendly cleaning products to use when cleaning your apartment. Or better yet, make your own cleaning products from natural materials you might already have. Most organic cleaners are just as effective as the others – and without filling your space with strong chemical odors! Why not try out your green thumb and care for a small herb garden on your balcony or patio – or even on your kitchen counter! You’ll always have your favorite herbs handy, saving you a trip to the grocery store. Who doesn’t love their single-cup coffee maker? Unfortunately, those little empty k-cups easily find their way into landfills, and they’re building up fast. Opt for a reusable k-cup instead – it’s cheaper in the long term and helps reduce waste. When we’re rushing out the door in the morning, it can be hard to remember to unplug small electronics or turn off a lamp. Try writing yourself notes or setting reminders to do so – you’ll end up preserving energy, which could translate to a smaller utility bill! Instead of buying bottled water, invest in a water filter pitcher instead. You’ll avoid a trashcan full of plastic bottles and will always have fresh water when you want it. Build your collection of canvas grocery bags. Using reusable canvas bags are sturdier and better for the environment than the plastic ones. Plus, some grocery stores even offer incentives to use canvas bags instead! In truth, these are green living habits that can be implemented anywhere. And at Arcadia Run, we love to see our residents do more to preserve the environment – every little bit helps! So what better time to adopt a few easy green habits than the spring season? Warmer weather and blooming flowers will be here in no time at all! Moving should be an exciting venture – you’re going to have a new place to decorate, a new town to explore and new neighbors-soon-to-be-friends to meet. But oftentimes, the reality of moving overshadows the excitement, especially when facing the struggles of moving with kids. Apartment Guide recently compiled a short list of guidelines to help make moving with kids a painless experience – here are a few tips to help ease the transition! Including your children in the apartment search and bringing them along for tours will help brighten their spirits about moving in the first place. If they help pick your new digs, chances are they’ll feel right at home when you do move. When moving to any new location, it’s always fun to explore and see what your new hometown has in store. Kids will be especially pleased to learn that Manassas VA, home to Arcadia Run, has so many fun things to do – from playgrounds and parks, to kid zones and community events! It can be difficult for kids to move; it could mean leaving their friends, their school and their room they’ve grown to love. But this doesn’t mean they won’t make new friends, love their new school and have a room that’s even better than their old one! Accentuate the positive points to moving – and when you choose Arcadia Run, there are several! Pack your kid’s favorite stuffed animal or nighttime story last so it’s nearby if you need it. Chances are you won’t be able to unpack every box on your first night in the new place, so it’s important to have the necessities easily accessible. When the day comes to physically move your belongings from place A to place B, it might help to find childcare for your children. It’ll make your job of coordinating the move a little easier and you’ll be able to tackle the hectic process with little distraction. Once you get settled, Apartment Guide suggests throwing a small get-together with your children’s friends, as well as any other children you’ve met in your new apartment community. This help shows your kids that moving doesn’t mean leaving your old friends behind; it simply means you have more opportunities grow your existing circle of friends! 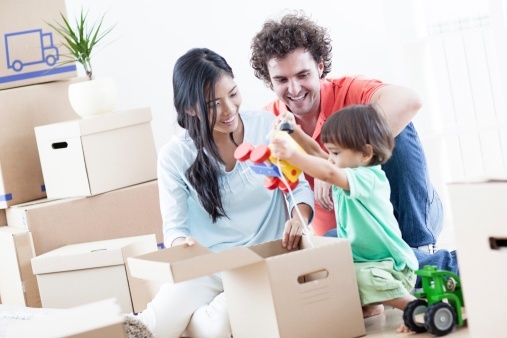 With these tips, moving your family to a new apartment can be the fun adventure you’re hoping for. And, with the opening of our Phase 2, we’re so excited to welcome new families to Arcadia Run! 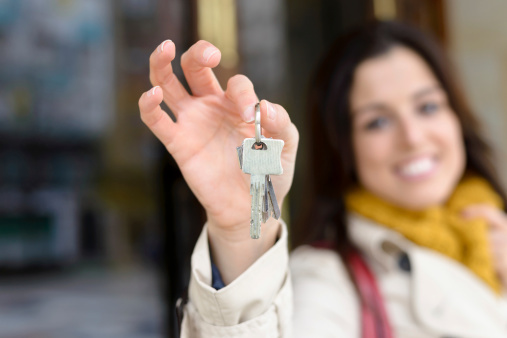 It’s true – many renters believe there is an ‘off’ and ‘on’ season when it comes to finding a new apartment to call home. And while that’s true to some extent, it doesn’t necessarily mean ‘off’ season isn’t the time to land that dream apartment. The winter months are typically considered the ‘off-season’, and believe it or not, there are several benefits to apartment shopping this time of year! When searching for a new apartment home during the winter, when most of your fellow renters aren’t, much of the competition that’s present during the spring and summer is eliminated. Less competition in general gives you a better chance of finding that perfect apartment! And, with fewer renters hitting the market, there will be less pressure to move quickly. While an opportunity might not last forever, you could have a little more breathing room and the luxury to take your time. But believe us, once you see our new apartments at Arcadia Run, you won’t want to waste another minute searching anywhere else! Also because of reduced competition, renters may find they have more selection when it comes to choosing their next space. Here at Arcadia Run, we take great pride in offering several apartment home floor plans, giving our tenants the best variety any season of the year! Come spring, when other tenants are just starting their search, you’ll already be comfortably living in the apartment community of your choice! Who wouldn’t enjoy that? Truly, any time of the year has its own benefits when apartment hunting, but not all as unique as the winter. So take advantage of the season and choose a new apartment home at Arcadia Run. Phase 2 of our community is now leasing, offering tenants with an incredible selection of newly built, luxury apartments. Get used to getting more with Arcadia Run – granite countertops, luxury ‘hardwood’ vinyl flooring, upgraded kitchen appliances, extended windows, plans for outstanding community amenities and so much more! As any renter knows, decorating a new apartment can be tricky, especially when trying to avoid damage to the walls. Luckily, tenants have so many more options these days – the possibilities are endless! Additional shelving is one of the biggest needs for renters. And what better space to utilize than an open wall? Instead of installing shelves directly to the wall (which is a tricky process), opt for a stand-alone shelving unit instead. These can provide even more surfaces for your belongings and are available in various styles. Not to mention, they are much easier to manage when rearranging your living space! If you’d like to take advantage of wall space on a smaller scale, temporary hooks may be your answer. They can be easily mounted and removed, giving you flexibility when styling your walls. With several sizes and colors, temporary hooks are ideal for everything from hanging a painting to holding your keys. Wall putty isn’t just for teachers anymore! Once a difficult product to come by, putty is now a convenient way to hang prints and posters on any wall – without damaging the paint or drywall. Wall decorations have certainly come a long way! These days, renters can find elaborate wall stickers – in various styles, patterns and colors – at any home décor store. They can be applied to empty wall space and easily removed if need be. 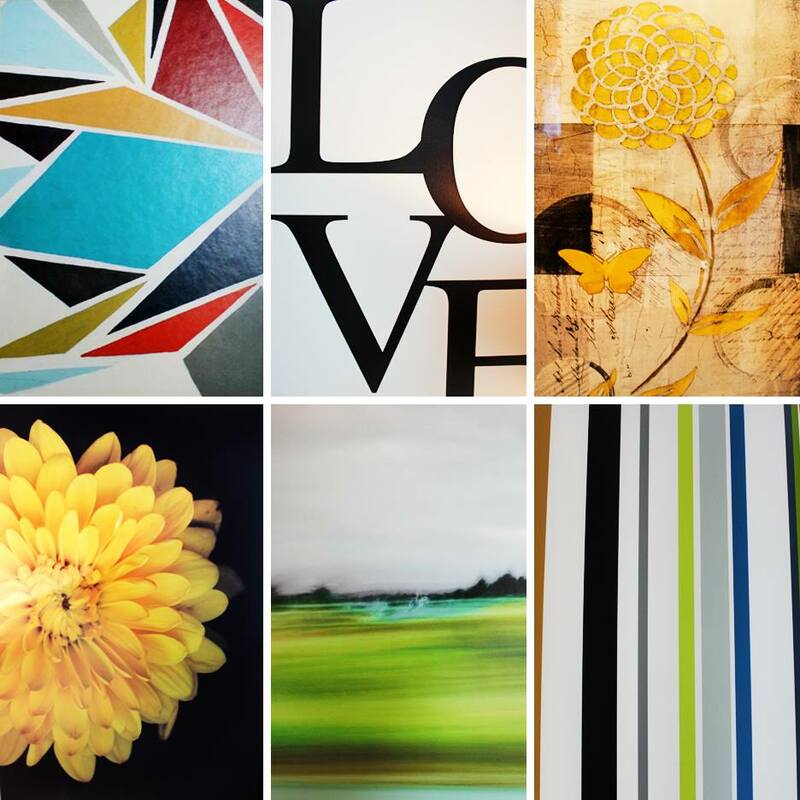 These temporary self-adhesive designs are ideal to brighten up and personalize any space. With these helpful tips, we’re confident your new luxury apartment at Arcadia Run will be beautifully styled to your tastes! Still looking for that perfect space? Phase II at Arcadia Run is now available for leasing. With even more stunning models to choose from, our tenants will have to get used to living in one of the greatest new apartment communities in Manassas, Virginia!